Known principally for his solo songs, Armstrong Gibbs also wrote music for the stage, sacred works, three symphonies and a substantial amount of chamber music, much of which remains unpublished. He gained wide recognition during the early part of his life, but until recently, like many of his contemporaries, has been little known. Although he retired from adjudicating, he continued conducting and composing right to the end of his life. He died in Chelmsford on 12th May 1960 and is buried with his wife in Danbury churchyard. Cecil Armstrong Gibbs ( he hated the name Cecil ) was born in 1889 at The Vineyards, Great Baddow, Chelmsford, the first child of Ida Gibbs (née Whitehead ) and David Cecil Gibbs, the famous soap and chemicals manufacturer. His mother died when he was only two years old, so he was brought up by his five maiden aunts. So apparent were his musical gifts at a young age, that the aunts begged the boy's father to send him abroad to receive a musical education. However David Cecil, who had himself been educated in Germany, was determined to give his son the benefit of an English public school education. Consequently the young Armstrong was sent first to a preparatory school on the Hove / Brighton borders and then on to Winchester College. From Winchester, Armstrong Gibbs gained an exhibition and a sizarship to Trinity College Cambridge to read history. After completing his History Tripos in 1911 he stayed on at Cambridge to take his Mus. B. During that period he received composition and harmony lessons from E. J. Dent and Charles Wood and studied the organ briefly under Cyril Rootham. Realising that he could not make a living from composition alone, he decided to take up teaching. He spent just over a year at Copthorne School, East Grinstead, before returning to his old preparatory school, The Wick. Although he was not able to compose as much as he had hoped, he did write some songs to poems of Walter de la Mare. On being asked to produce a play for the headmaster's retirement in 1919, Armstrong Gibbs approached de la Mare directly and was delighted when the author produced the play Crossings for him to set to music. The producer of the play, Armstrong Gibbs' old composition teacher E.J. Dent, brought the young Adrian Boult down to conduct Crossings. He was so impressed with the music that he generously offered to fund Gibbs for a year as a mature student at the Royal College of Music. Encouraged by his wife, Honor, to take up the challenge, Armstrong Gibbs resigned from his post and moved back to Essex. After a year at the RCM studying conducting under Boult and composition under Vaughan Williams, he accepted a part-time teaching post at the college. His house Crossings being requisitioned as a hospital during the Second World War, Armstrong Gibbs moved to Windermere, where he continued composing and conducting. After his son David was killed on active service in Italy he wrote his third symphony, The Westmorland. On his return to Essex in 1945 he re-formed Danbury Choral Society and renewed his association with the Festivals Movement, playing a key role in the organisation of the music for the Mothers' Union World Wide Conference of 1948 and the Festival of Britain in 1951. Some of the well-known Gibbs settings date from the early years of his career; for example Nod, Silver, Five Eyes and A Song of Shadows, all poems by Walter de la Mare with whom he had a close artistic association. Songs from the children's play Crossings, written by de la Mare, mark the beginning of his career as a composer. Solo songs from this period include The Fields are Full, The Tiger-Lily, Mistletoe, The Sleeping Beauty and By a Bier-Side. From the thirties and forties, when Gibbs was at his most prolific, stem The Ballad of Semmerwater, A Ballad Maker, Why do I love, The Witch, Before Sleeping, and Hypochondriacus. Songs dating from the last decade of Gibbs' life are; The Oxen, Three Lyrics ( by Christina Rossetti ), Lament for Robin Hood and Gipsies. Gibbs made his name by writing for the stage. After Crossings came the incidental music for a production of Webster's The White Devil, in Cambridge. This was quickly followed by the music for Maeterlinck's play The Betrothal, in 1921 and concurrently the Cambridge Greek play the Oresteia. Shortly afterwards he wrote the music for A.P, Herbert's comic opera The Blue Peter and for Clifford Bax's successful harlequinade Midsummer Madness. Gibbs always wanted to write a successful comic operetta and was bitterly disappointed, in the fifties, when the BBC rejected Mr Cornelius. Armstrong Gibbs' long association with the Festivals Movement led him to write part songs and larger choral works, many of them to commission. Among the unaccompanied part songs performed by his own choral society were; Come Sleep, Andy Battle, Keith of Ravelston, The Pleasures of Love, Before Sleeping and Five Elizabethan Lyrics. Larger accompanied choral works include La Belle Dame Sans Merci and The Highwayman, for a chorus of mixed voices, and the cantatas for soli and mixed chorus, The Birth of Christ and Deborak and Barak. Collaboration on the latter with the Essex poet Mordaunt Currie may have led to the composition of Odysseus, Gibbs' choral symphony for soli, mixed chorus and orchestra. Much of Gibbs' early music was written for string quartet with piano or other instruments. Often this combination was used as an accompaniment for his songs. 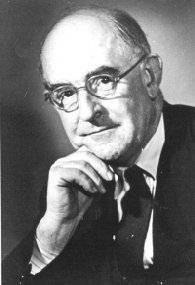 Gibbs' fluent writing for strings gained him the second prize in the Daily Telegraph Competition in 1934 ( String Quartet in A Major ). It also resulted in the popular Dusk - the slow waltz from his suite Fancy Dress, written for orchestra and piano. In the thirties too, he wrote Almayne, based on a 17th century air and A Spring Garland, a collection of musical pictures of flowers. A commission from the Westmorland Orchestra, in the early fifties, produced the reflective Dale and Fell suite. On the death of Walter de la Mare in 1956 Gibbs wrote the poignant Threnody for string quartet and string orchestra. Other instrumental music included pieces for violin, cello and clarinet and an oboe concerto dedicated to Leon Goossens. Apart from the larger sacred choral works, Gibbs wrote a number of hymn tunes and carols, notably, Danbury, Lingwood, The Stable Door, Oxen Cribbed in Barn and Byre and While the Shepherds were Watching. There were also anthems and settings of canticles. His output for organ was small, but there are a number of significant piano works, for example the suite In the High Alps, dating from 1924, and the eight preludes from 1940, entitled Lakeland Pictures. What is presumed to be Gibbs first Symphony in E - an early mention referred to it as the second - was written in 1931 / 32 and performed in October 1932, under the baton of Sir Adrian Boult. The second, the choral symphony Odysseus, thought by Gibbs to be one of his best works, had to wait until 1946 for its first performance. The third symphony, the Westmorland, was completed in 1944 (following the tragic death of his son who was killed in action in Italy), while the composer and his wife were living in the Lake District. For More information about the Life and Works of Armstrong Gibbs, Forthcoming Concerts, Music Scores and general information, please contact Angela Aries. Angela is writing a comprehensive biography, and together with Armstrong Gibbs' surviving family,and has established the Armstrong Gibbs Society. .